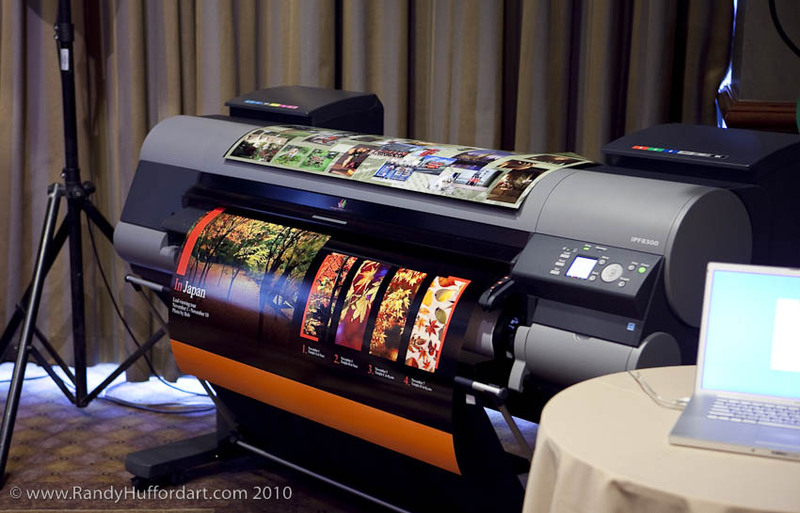 March 6 2010 Canon releases 3 new printers. 8300, 6300, 6350 with a new Lucia EX ink set. Henry Wilhelm, from www.wilhelm-reasearch.com, says that it is the biggest breakthrough since the introduction of ink jet printing. The New Lucia EX ink set with virtually no color bronzing, larger color gamut, improved scratch resistance, smoother color graduation, greater detail in the blacks, precision dot placement for even greater detail and a new media configuration that allows use of any manufacturer media. Eddie Tapp, http://eddietapp.com/blog/ Director of Education at Institute of Visual Arts Maui says: this printer and new ink set are AMAZING, it even features a account manager that allows you to know exact cost for ink and media used for any job that you print! Uncompromised Creative Expression!